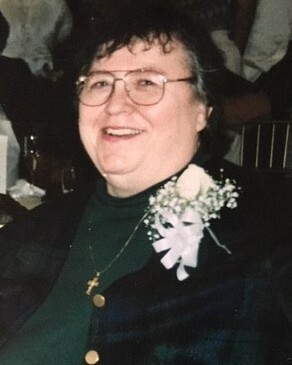 Deanna Walsh, 77, entered into rest on December 2, 2018 in Manteca, Ca. She was born in Los Angeles, Ca on April 30, 1941. In Heaven, she joins her parents Mildred and John Walsh and her brother Gary Walsh. Deanna is survived by her nephew; Allen Lisle, God-son; Glen Penland, God-daughter; Robin Nowtny, life-long friends; Deena, Joy and Matt and her caretakers, who were more like family; Rose, Maria, Maranda and Branson. Deanna proudly served her country through the United States Navy where she was honorably discharged in 1964. She was a resident of Lathrop for over 20 years and previously of Oxnard. She graduated in 1975 with her Master’s degree from UC Fullerton. After receiving her Master’s degree Deanna went to work as a city planner working for the City of Oxnard and finally retiring from the City of Lathrop. She was a member of St. Anthony’s Catholic Church where her faith was very important to her. Deanna loved the season of Christmas where she was surrounded by beautiful Christmas decorations but most importantly, she was surround by the love of family and friends. Deanna will be remembered for her giving heart and her independent spirit. She will be deeply missed by all who loved her.